5 resolutions of exploration. 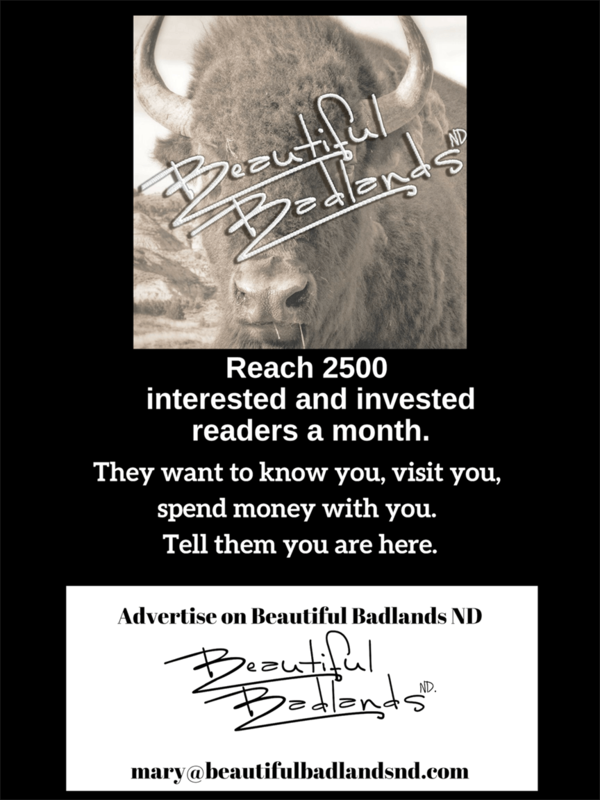 Can you explore the Badlands, too? 5 resolutions of exploration. Do you have similar resolutions? 2017 was a year like none other – but then, aren’t they all? The first mile is the hardest. Yes, it was for us, from our first mini-pedaling of the Maah Daah to our wedding in the North Unit. After we tied the knot near the Juniper Campground at the North Unit of the Theodore Roosevelt National Park, we headed up to the overlook for the obligatory wedding photos. How to top that? Well, here’s what we resolve for 2018. 1. Pedal more of the Maah Daah Hey. People around the world know about the Maah Daah Hey and its singular status as a bicycle, horseback riding, or hiking trail. Our particular interest is the length of the MDH trail that crosses Devils Pass. It could be thrilling. Having made a miniscule attempt in 2017 to sample just a tiny portion, we resolve to explore more of it in 2018 by two-wheels. (after we get suitable bicycles). Click here for the story of two mild-mannered explorers who try one mole of the Maah Daah Hey. 2. Investigate the Grasslands Brown Sign Points of Interest. One of our favorite brown sign drives starts here, but there are several dozen along Highway 85 between Bowman and Williston that we resolve to explore in 2018. Across the entire length of the National Grasslands are recreational points of interest marked by brown signs. Some of them, we’ve explored, especially the trails marked by the signs. Others are completely unknown to us. We resolve to follow the brown recreational signs of the National Grasslands to explore more of the region. 3. Hike the Highest Peaks in the West. Above the Custer Trail on a January afternoon, sunset from Square Butte with Sentinel Butte on the horizon to the right. Two of the highest points in the Badlands. The state’s highest point is White Butte near Amidon. Not far away is the second highest point in the west, Sentinel Butte. Nearby is Square Butte and Camel Hump Butte. Wagon trains, settlers, and even Theodore Roosevelt used the points as navigational aids because they are so apparent. We’ve used them to get our bearings when hiking, but now we want to see what the world is like from that point of view. We resolve to explore the four highest points in the west. 4. Follow the Custer Trail. South of Medora, Custer Trail Signs mark part of the route Custer took on the way to Little Big Horn. Historic trail signs are found along Old Highway 10, the Old Red Trail. Generally speaking, it’s not hard to see the approximate route the 7th Cavalry took on its last march. Along the way, the soldiers encountered many natural challenges, including 6 inches of snow in May. The route generally follows Old Highway 10, and along the way are markers, However, the exact route, especially south of Beach, Medora and Sentinel Butte is a little harder to see. Therefore, we resolve to explore as much of the marked and unmarked Custer Trail as we can. 5. Roam Through Local and Regional Museums. It sounds like an old dusty exercise, doesn’t it? (Memories of boring 3rd Grade school field trips?) We thought so, too, until we checked out our first couple museums in Dunn County and McKenzie County. Not everything in every museum is of interest, but we’ve found there is enough variety, from clothing to cars, hangings to households, that every museum deserves a look. They inspire further explorations of the region to see just where Cleve Culbertson murdered that family, to see where the Hutmacher’s built their farm, or to see where the dinosaurs lived. We resolve to explore as many regional museums as we can find. There, that’s our list. Did it inspire you to try something new? Do you have similar resolutions? Got ideas that we should add to our list? We’d love to learn more ideas, your resolutions. Just comment back to us. Coming up Friday, the second highest point, Sentinel Butte.